Directional Drilling at Morningside attempt 2 of 2. Directional Drilling is releasing millions of litres of turbid-silt saturated water into Australia's waterways daily. Our Group has tried unsuccessfully so far to bring this to the attention of the authorities. What actions will TELSTA now take to ensure ALL their contracts are carried out in compliance with strict Environmental Conditions of Telstra's contracts? How much longer will the State and Local Government authorities wait before introducing opperating licences for all directional drillers and inspect for environmental pollution on a regular basis? 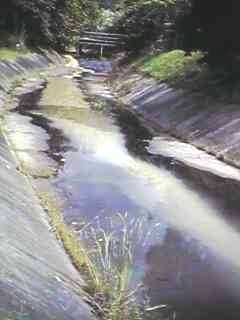 The silt settled out in the creek once the flow rate had reduced and turbidity was very little. About three hours after the digital photos and video tape was made a heavy shower passed over the suburb and the sediment which had deposited in the creek was washed further down the creek. 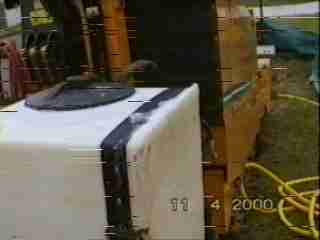 See first attempt on 28 March 2000. 1. Perrin Creek Morningside. Storm water outlet pouring silted water into the creek. 2. 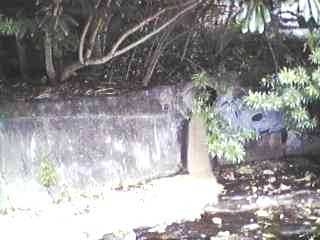 Set of pictures joined to show the turbid water entering Perrin Creek. 3. Looking up stream towards outfall. 4. 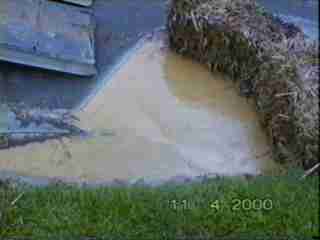 Flow down gutter from Directional Drilling process. 5. 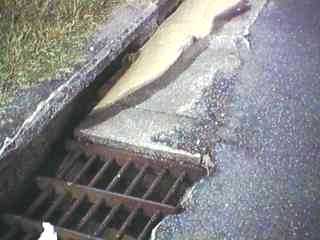 Lookinging into street drain. 6. 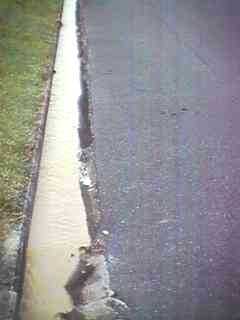 Slurry entering street drain. 7. 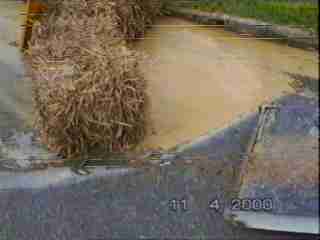 Some silt built up barrier but flowed around. 8. 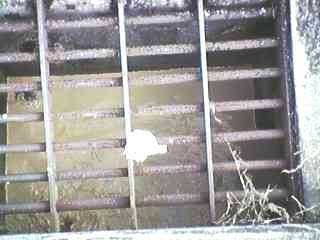 Depth of slurry behind barrier. 9. 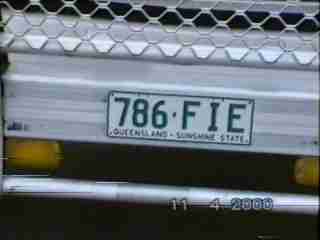 Truck registration for directional drillers. 10. Poor excuse for a sediment barrier at drilling point. 11. 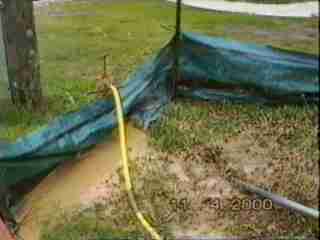 Another view of silt build up behind barrier. Notice the lack of capacity of silt barrier. 12. Note the liquid tank attached to drilling machine which feeds chemicals into the feed water to extract the drilled spoil. 13. 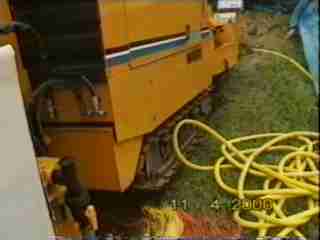 Side view of Directional Drill.